a) In Control Panel open “Programs and Features”. b) Select “Turn Windows features on or off”. and make sure the Windows authentication node is checked. a) In Server Manager, select Web Server (IIS) and click Add Role Services. 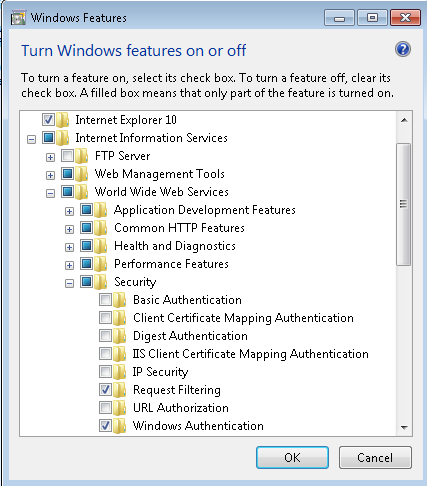 This entry was posted in IIS, Windows and tagged Authentication, Control Panel, IIS, Integrated Windows Authentication, Internet Information Services, Microsoft, Microsoft Windows, Windows. Bookmark the permalink.